(ATLANTA) Three of Emory Eye Center’s faculty members will be recognized at the American Academy of Ophthalmology's (AAO) annual conference in New Orleans next month for their contributions to the specialty. Glaucoma specialist Allen Beck, MD, neuro-ophthalmologist Valérie Biousse, MD, and pediatric ophthalmologist Amy Hutchinson, MD, will each receive the AAO’s Senior Achievement Award. The AAO’s Achievement Award program recognizes doctors and individuals who participate in the scientific programs at the Annual Meeting. The program encompasses more than 25 categories of contribution to the Academy (such as presenting scientific posters or papers, teaching courses and serving on AAO committees). 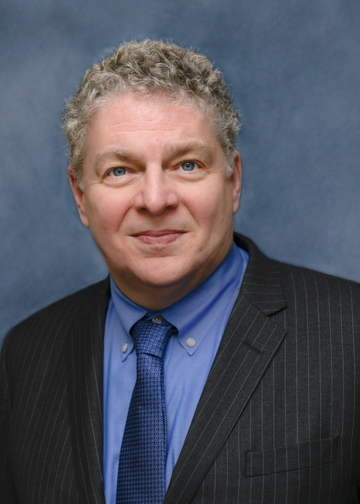 Allen Beck, MD, is interim chair of ophthalmology and interim director of the Emory Eye Center. He is William and Clara Redmond Professor of Ophthalmology and former director of the Eye Center’s glaucoma section. His clinical focus is on diagnosis and management of pediatric and adult glaucoma, including surgical treatment of cataract. His research interests include diagnosis and management of pediatric glaucoma, clinical studies of adult glaucoma therapies, pediatric cataract, and glaucoma compliance. 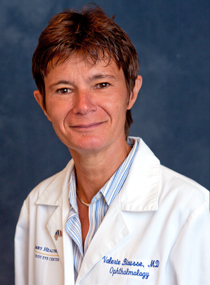 Valérie Biousse, MD, is the Cyrus H. Stoner Professor of Ophthalmology and a professor of ophthalmology and neurology in the Emory University School of Medicine. She serves on the board of directors of the North American Neuro-Ophthalmology Society and co-author of the award-winning textbook Neuro-Ophthalmology Illustrated (Thieme), a valuable resource for practitioners who have patients with disorders of vision and the brain. Dr. Biousse’s clinical focuses include adult neuro-ophthalmology, optic nerve disorders, visual field defects, and disorders of ocular motility. 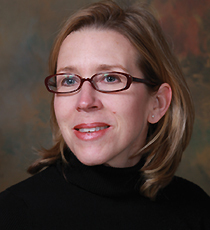 Amy Hutchinson, MD, is interim director of pediatric ophthalmology and adult strabismus services at Emory Eye Center. She is particularly interested in retinopathy of prematurity (ROP) screening and treatment, pediatric vision screening, and electronic health records. Dr. Hutchinson co-developed and validated a new eye chart for children, “the Handy Eye Chart™," for use in non-verbal or non-English speaking individuals. She is a member of the federally-sponsored National Expert Panel on Vision Screening. Earlier this year, Dr. Hutchinson received the Senior Honor Award from AAPOS (American Association for Pediatric Ophthalmology and Strabismus). Drs. Beck, Biousse, and Hutchinson – along with more than 20 other Emory Eye Center physicians– will teach or help lead educational sessions (see schedule attached here) during the 2017 AAO conference.